An integrated application to improve urban public transport service. 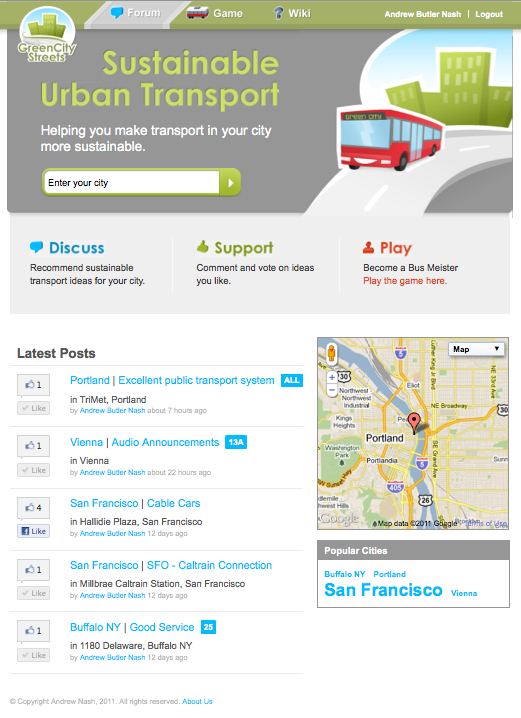 BusMeister is an integrated internet-based application designed to improve the public involvement process by educating people about sustainable transportation and providing them with a forum to debate ideas for improving local transport infrastructure and services. The approach is based on the idea that urban transportation is complex and therefore people will be able to provide more valuable input if they learn about the subject as part of the involvement process. This approach has been used successfully in traditional project-based public involvement processes. The object of this research was to translate the learning-based approach to an Internet application and make the process continuous rather then project-based. The research project consisted of creating an educational game, a best practices library and a social network focused on public transportation to test the general concept. The three elements were combined into an integrated application called BusMeister. 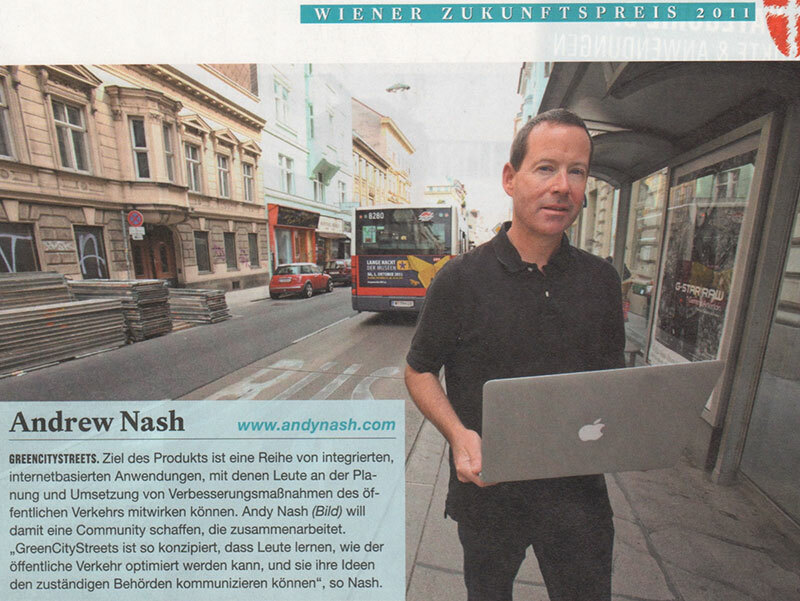 The prototype project was partially supported by the Vienna Business Agency (formerly ZIT). The main idea behind BusMeister is to improve the public involvement process for urban transport infrastructure and services using internet-based applications. The idea of using these new information technologies to “rethink the role of citizens” is very important and is being actively researched (Nash 2010). While it is unclear what the right approach will be, but it is clear that new IT and communications technologies will play an increasing role in all aspects of government (Kamensky 2010: Rethinking the role of Citizens in a Gov 2.0 World). Importantly, the main goal isn’t about data, culture, accountability or efficiency, though they all matter, it’s about building a community to work together to solve problems (Howard 2011). BusMeister uses several key strategies for helping improve the public involvement process: education, involvement and empowerment. Urban public transport is complex. This complexity makes it difficult to identify and implement good ideas. BusMeister attempts to address these problems by making learning fun (with the game) and providing multiple levels of information in the best practices library. BusMeister’s main goal is to educate residents about how to improve public transport service using modern internet-based applications. The idea is to be proactive: create a fun way to learn about public transport (a computer game) and link the game to a best practices library so people can learn more. Apathy is another major problem for public involvement. Public processes tend to attract only those people most directly impacted by the project. But most projects impact many others indirectly and/or in ways they do not fully understand (a problem linked to complexity). For these reasons public decision-making processes are often over influenced by special interest groups. A good example is removing parking to create a public transport lane. Shop owners along the street will come in force to oppose this idea while the many people riding the bus (who would benefit from shorter travel times and more reliability) do not get involved. What’s needed is a process that enables more people to be heard. This sounds like an ideal situation for internet-based social networking (Judd 2010). Social networking enables people to learn and participate on their own schedules without geographical proximity (i.e. attending meetings). The goal of BusMeister is to provide a forum to help facilitate participation in the public decision-making process. The most fundamental part of the public involvement process is what happens with the information provided by the public. The revolution in communications and information technology is forcing all types of organisations to re-think how they obtain and use “customer” input. New technologies have transferred more power to customers; a negative review on Twitter or Facebook can have serious consequences for a business. The BusMeister Best Practices Library consists of web pages that summarise key ways of improving public transport and a wiki with more details. The “top level” web pages are developed and maintained by the project team. They are geared towards non-professionals and explain public transport operations in an easy to understand way (with links to videos, figures and reports). These pages start with the clear title “Improve Public Transport.” Figure 1 illustrates this page. Note, we’ve changed the name to GreenCityStreets in 2012 to extend the focus to all types of sustainable transport. Improve Public Transport Word Press based website homepage. The goal of the BusMeister game was to teach non-professionals how to improve public transport operations in a fun way. The idea was that if non-professionals understood the importance of, what appear to them small, changes to public transport service they would become more proactive in supporting these changes. A secondary goal for the game was to attract people to the website so they would use the forum and best practices library. 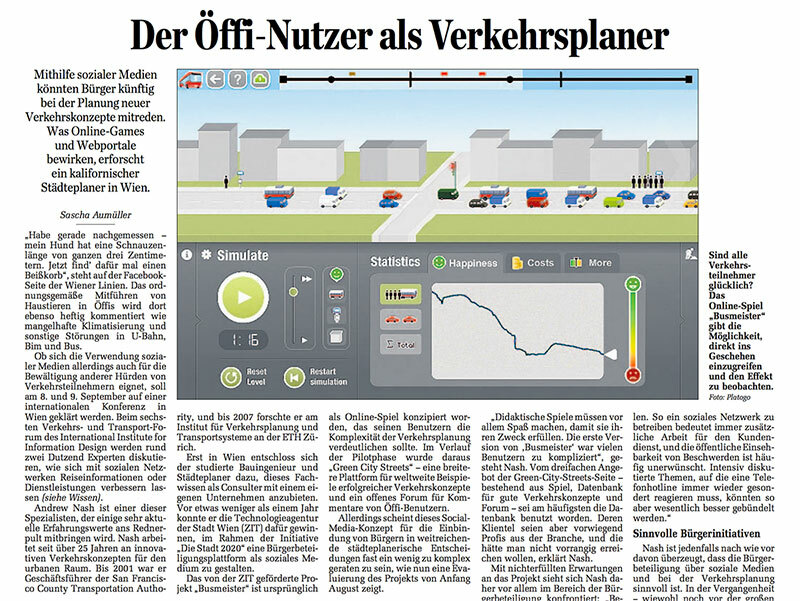 The BusMeister game was created by Platogo, an internet game company based in Vienna, under contract to the project. There are many games that have been developed that model city planning and transport planning including Transport Tycoon and SimCity (Poplin 2011). The key problem in game development was how to make what is essentially an engineering design process fun. Another way to put it is: what’s fun about running a simulation? In addition to this design problem the developers needed to make the game realistic so that it could be educational. The BusMeister game is illustrated in Figure 3 and more information is available at: BusMeister Game. Screenshot of the BusMeister game. The GreenCityStreets Forum is a social networking platform designed to encourage formation of local groups that will actively help make their local transport systems more sustainable. The goal is to create communities of people willing to do more than simply clicking on a “Like” button. Committed Customers – transport agencies need advocates in the real and virtual worlds. The forum allows local residents to carry on a conversation about transport where they (educated with help from the game and library) provide information to others about public transport. Furthermore, the forum gives these advocates an opportunity to organize real activities to help improve local transport (e.g. clean-up days). As the definitions of these objectives show, to be fully functional the Forum needs to be embedded in a supportive eco-system. More specifically, there needs to be an organization (e.g. transport agency) that believes in the idea of actively involving the public in helping improve operations and is willing to dedicate sufficient resources to facilitating this type of public involvement. The GreenCityStreets Forum allows users to sort ideas by city, route number, user who suggested the idea, and are also presented on a Google Maps application on the page. The Forum was built on the Facebook platform. People wishing to actively participate (i.e. add ideas, comment on or “Like” existing ideas) must log-in via Facebook (although anyone can read forum ideas and comments). The Forum is similar to sites like seeclickfix or fixmystreet. These allow citizens to report issues to their local governments and provide government agencies with tools to help manage this information. The main difference is that with the GreenCityStreets, people using the Forum can also learn something about the problem they are commenting on, which should increase the quality of their contributions. GreenCityStreets Forum – Application for suggesting local public transport improvements. The GreenCityStreets project succeeded in developing and placing on-line an integrated application designed to help teach citizens about improving public transport and to enable them to suggest and support ideas for improving their local public transport services. Many people used the prototype application and provided feedback. Unfortunately, without a client public transport agency, the project did not achieve its ultimate objective of creating an active social network actually using the application to improve their local public transport services. Therefore, the next step is to find a courageous public transport agency willing to try this new approach in a real world test. The key requirement is that the agency be really willing to use the information generated by GreenCityStreets users. The project will not be successful if users feel that their input is not being taken seriously. The developers believe that public transport agencies have a lot to gain from adopting the approach of really listening to their “customers” especially as budgets are becoming tighter and demands for service are increasing. Engaged citizens can help public transport agencies identify good ideas (crowdsourcing), provide support for difficult political decisions and can act as ambassadors for the public transport agency. A well-designed user interface at the public transport operator would enable the agency to efficiently gather, use and respond to, the information generated by their customers. 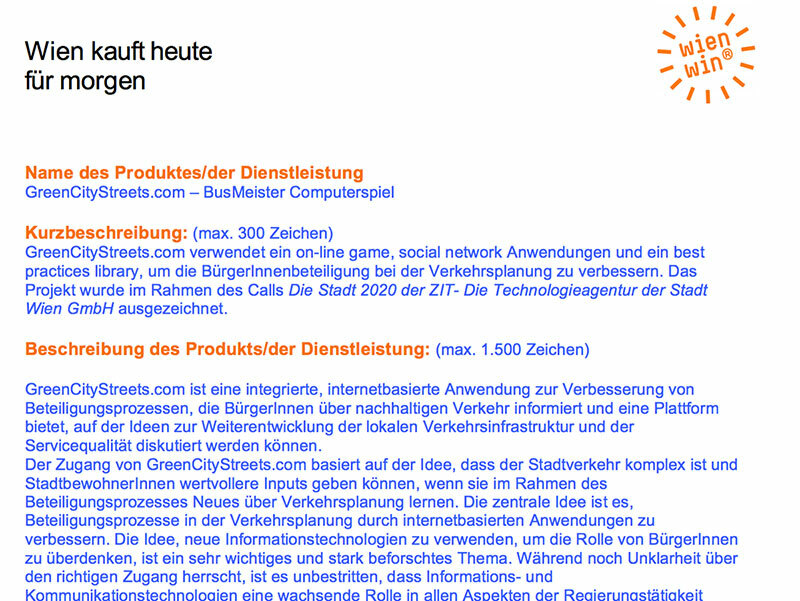 Please contact us if you are interested in using GreenCityStreets at your agency! 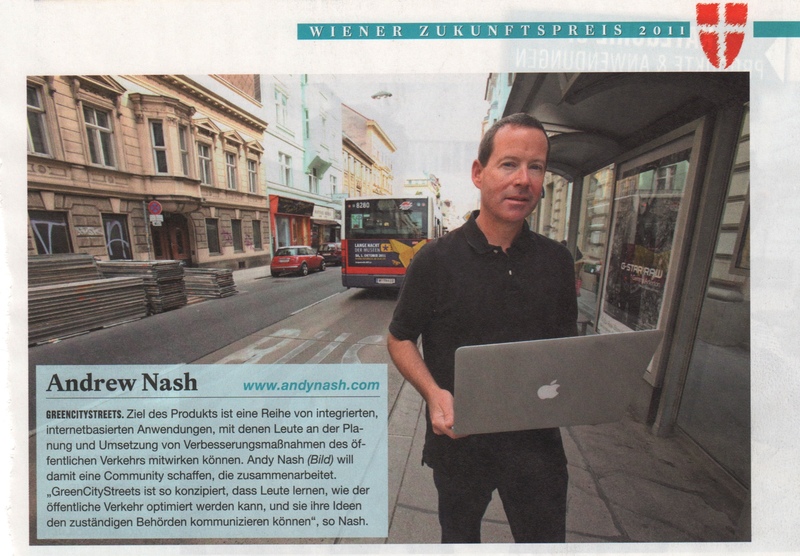 The author gratefully acknowledges the financial support received from the Vienna Business Agency (formerly ZIT) for developing the GreenCityStreets.com prototype application. The author further thanks the project team from Platogo and Snizek + Partner Transport Planning for their support and ideas in developing the prototype application. Finally, the author wishes to thank the contributors to the best practices wiki especially Paudie Fitzgibbons. 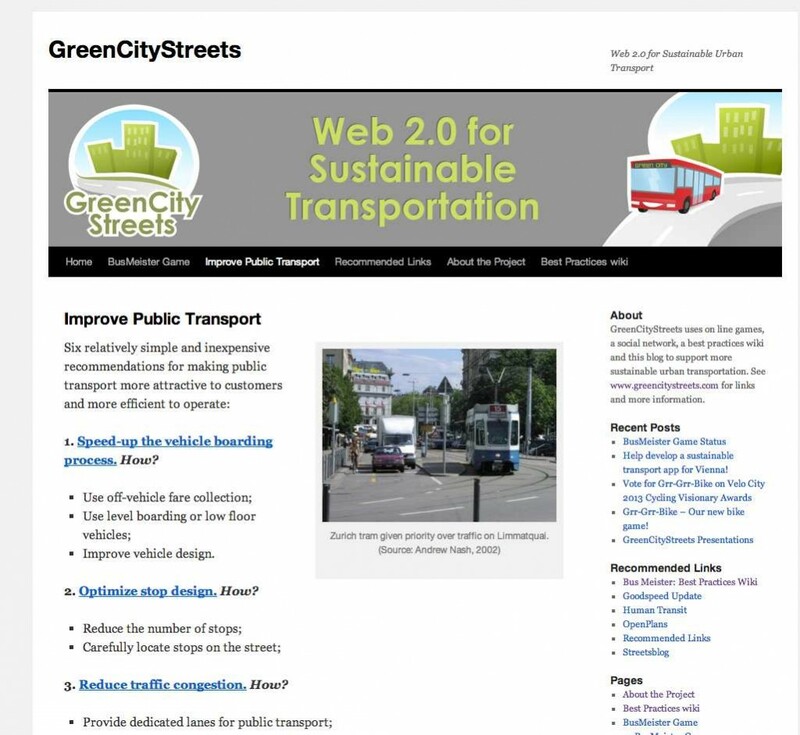 A longer version of this paper with references is available at: GreenCityStreets.com – An internet application for increasing public involvement in public transportation submitted for the 2012 US Transportation Research Board annual meeting.